Should Liverpool Sack Jurgen Klopp? Is it the time to sack Liverpool manager Jurgen Klopp or should give more time despite of poor performance in Premier League, FA Cup and League Cup. Liverpool have been in poor form since the start of this New Year 2017. They have managed to win only two of their last 12 games in all campaigns. They have been defeated by lower positioned sides but managed to keep their fine run against the top six. Their poor run in the Premier League have dropped them from second spot to fifth spot, and even they could go down to sixth as Manchester United, the sixth placed side have a game in hand. Their poor run have also disqualified them from the League and FA Cup. It was thought that the reason for the starting games of this poor run was Sadio Mane who was out for the Africa Cup of Nations that time. Mane has been a superb performer for the Reds but unfortunately even after his return Liverpool have not yet managed to bounce back. Yesterday, Leicester City scored three goals to win against Liverpool at home, the side that failed to score this year scored three against the so called Mighty Reds. The question arises who is responsible for these performances, owners, manager or players? This could have many answers. Firstly, Liverpool didn’t utilize the winter transfer window because owners were in no mood to give the funds. 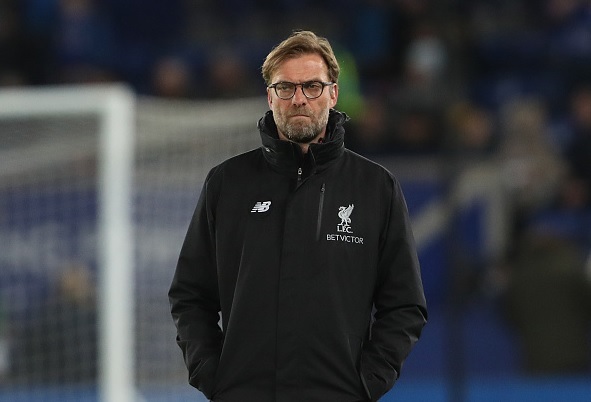 Secondly, Jurgen Klopp has been playing with the same game style as he has been in the first half of the season, and that style became so obvious for the opponents that they have easily managed to control Liverpool during the game. He has no plan B.
Lastly, star player Philippe Coutinho has failed to regain his top form since his return from the injury. He showed a little glimpse yesterday but still he is yet to reach the level that he showed in the first half of the season. Apart from that Liverpool players are not taking it seriously, they are lacking the winning attitude as Klopp said they were playing the game like a friendly. Despite of having more than two weeks of break, the players looked exhausted against the Foxes. Liverpool will be facing Arsenal at home this Saturday, and we all are well aware of their performance against big sides, they are going to win but will this win be considered as a return to bright days? Definitely No, because they did the same against Tottenham Hotspurs two weeks ago. In my opinion, Liverpool owners are going to sack Klopp if this poor run continues for another month. What are your thoughts? Have your say below.